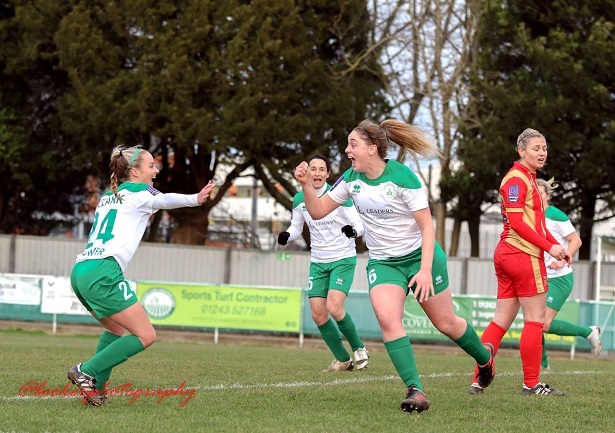 It’s a make or break week for Chichester City Ladies as the league leaders embark on two away games in three days which could define their season. After a poor start to the year, Aaron Smith’s side have regrouped and sent MK Dons packing 5-2 in their last outing a fortnight ago. City, who are still top in the FA National Southern Premier, had their match against title rivals Coventry United postponed at the weekend. But they have no time to rest with a trip to Oxford. United on Sunday (2pm) followed by a visit to local rivals Portsmouth on Tuesday (7.45pm). With a further trip to Cardiff at the end of the month, the club know they must be up for the challenge. Smith said: “It will be a tough month but we want that. We have started scoring some goals and playing the way we want to play. City had further cause for celebration this week when Loulou Robson made her debut for the England Colleges side.